In any situation where people and wildlife live in close contact, conflict arises. With no buffer zone between Lake Mburo National Park and the communities living around its borders conflict between wildlife and the community is common. There is an abundance of wildlife beyond the borders of the National Park roaming freely across private and community lands. For the pastoralists of the area the predators, namely leopard and spotted hyena, cause huge losses by preying on goats and cows while the wild grazers such as zebra and impala directly compete with their livestock for grass. In the dry season this conflict is especially prominent with scarcity of water another area of conflict. The agriculturalists also incur losses from bush pigs and bushbucks as they damage and destroy crops. While the communities live with wildlife and incur losses from it the benefit they see is minimal. The Park contributes 20% of its entrance fees to the community and a private hunting concession brings in money. However the costs of living with wildlife far outweigh the benefits. One of the main aims for MCCDF is to help the community access the benefits of having wildlife around and so encourage their conservation. The livestock compensations scheme started in August 2008 covering Rurambira parish along the Eastern Border of Lake Mburo National Park. Assessments conducted before the start of the compensation scheme indicated at least 300 livestock per year were lost to predators. In retaliation for their losses farmers poison the remaining carcass hoping to kill the guilty culprit as they return to their meal. Poisoning is an indiscriminate practice killing many non-target species and contaminating the environment. Vultures are especially vulnerable to poisoning with huge numbers killed not only in Mburo but also worldwide. The initial aim of the compensation scheme was to stop this practice of poisoning, reduce the costs to farmers and preserve the wildlife. When MCCDF is called in to inspect a carcass many signs are interpreted to try to determine if the livestock was in fact killed by a Park predator. The mode of killing is a valuable indicator of who the guilty predator is. Bite and claw marks on the head or neck are indicative of a leopard whereas wounds between the back legs and underbelly are consistent with a hyenas mode of attack. The ground is checked for any paw prints and dung, if it is a case of a kraal break in often bits of fur are left behind, caught in the fence as the predator squeezed through. The compensation scheme has afforded predator populations a respite from the practice of poisoning, allowing their numbers to slowly increase again. Before the program started only 4 hyenas occasionally visited the Eastern side of the park but now on the hill next to Mihingo lodge a clan of more than 20 hyena take up residence in the rainy season, their loud calls are a nightly lullaby. Before we started the compensation program the hyena population as close to extinction due the hyenas hunting in pack so if one cow is poisoned most of the hyenas in this pack will be killed. The cubs from this healthy clan will hopefully help in the re-colonization of the rest of the Park whose population was almost extinct but whose future now looks brighter. compensations. A focus on predation prevention now works hand in hand with the compensation scheme. In early 2014 MCCDF started collecting and collating information on leopards in the Lake Mburo area. 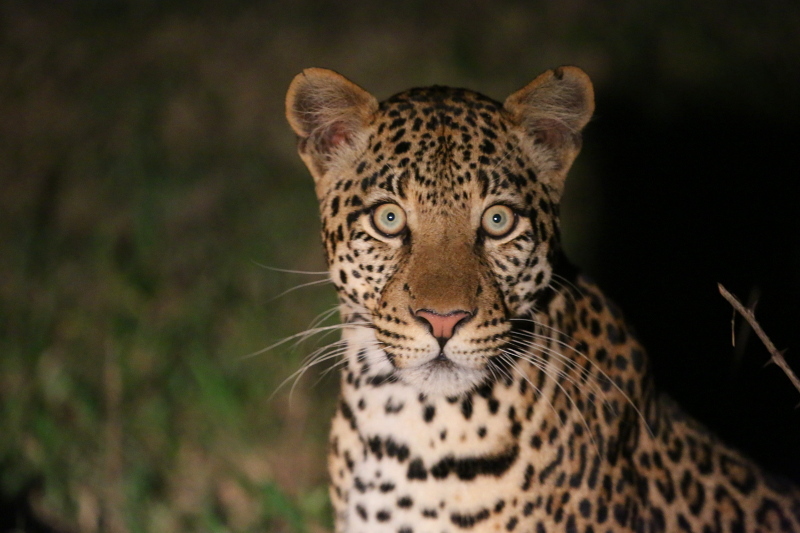 With numerous sightings by guests of Mihingo Lodge the opportunity for photographic identification of leopards presented itself. Since the collection of photographs taken by guests and staff of the Park more than 14 leopards have been identified within a year. With the ability of identifying leopards we have been given insight to territory sizes, mating partnerships, cub success and even those who have a flair for the theatrical posing for the camera! Currently most of the leopards identified live inside the Park. 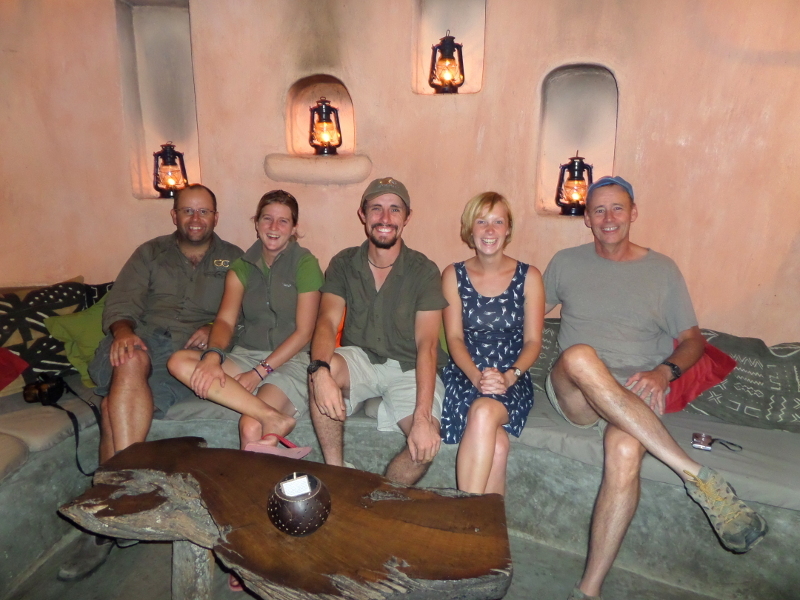 We hope to expand this project to more areas outside the Park through an extensive camera trapping programme. In 2012 MCCDF wrote a proposal for introducing the endangered Rothschild giraffe to Lake Mburo National Park (LMNP). While no record has yet been found that they historically used to live in the area, the environment of LMNP appears more than suitable for these creatures. Giraffes were introduced to Akegera National Park in Rwanda with success which we hope will be replicated here as LMNP is part of the Greater Akagera landscape. There are many benefits giraffes could bring to Lake Mburo from helping control the growth of Acacia trees to increasing visitor numbers to the Park. Giraffes are also animals with few conflicts with humans, an important factor to consider as the Park has no buffer zone. 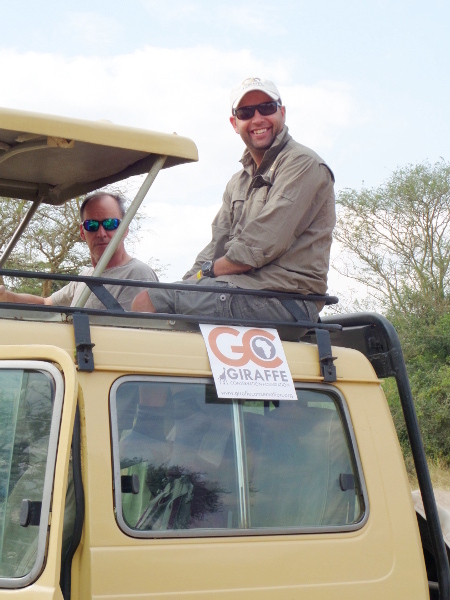 In July 2014 a group of researchers and donors from the Giraffe Conservation Foundation (GCF) stayed at Mihingo Lodge and ran an initial assessment of the suitability of the Park for giraffes. In their field report they said their initial findings were encouraging for giraffe translocation to LMNP. MCCDF has offered support for any of GCFs work in Mburo and will work in collaboration with them and the community to see giraffes roaming the wilds of Mburo. Julian, pHD student Michael Butler Brown and supervisor Dr. Douglas Bolger from Dartmouth with MCCDF’s Iddy Farmer and Mihingo Lodge Manager Clemmie Farley-West.